I'm still basking in the glorious sun and seventy degree temps here, love it!! When I sat down to create my card today i never dreamed it would cover as much as it does. Usually I'm a one card one challenge kind of girl, but not today. First I'm playing with CAS-ual Fridays which is what I set out to do lol. The challenge there is to use a ribbon loop or tab. I colored the leaves with shabby shutters, peeled paint, and forest moss. The flowers with tumbled glass, broken china, and faded jeans. Last the tree trunk with antique linen, brushed corduroy, and walnut stain. One all the coloring was done I glued the pieces onto the base. I popped the flowers and tree trunk up on foam. The tree was popped so I could wrap the ribbon (Paper Studio) around it. I added stardust stickles to the flowers and because it is a OWH card I also covered them in glossy accents. This ensures the glitter will not come off on our soldiers. I added some daffodil pearls (Craftaroo) to the flower centers. I stamped the sentiment with black soot and embossed with clear to add another element of texture. 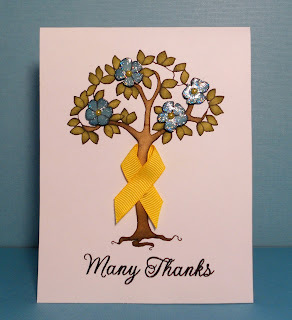 I appreciate you all coming to see me :) For all my OWH Ladies (or anyone who thinks this image is adorable) the wonderful Tammi at A Day for Daisies has this listed as a freebie along with 2 other ribbon trees and some other cute stamps. ENJOY!! looks beautiful. Love the ribbon. What a heartwarming card...very nice! 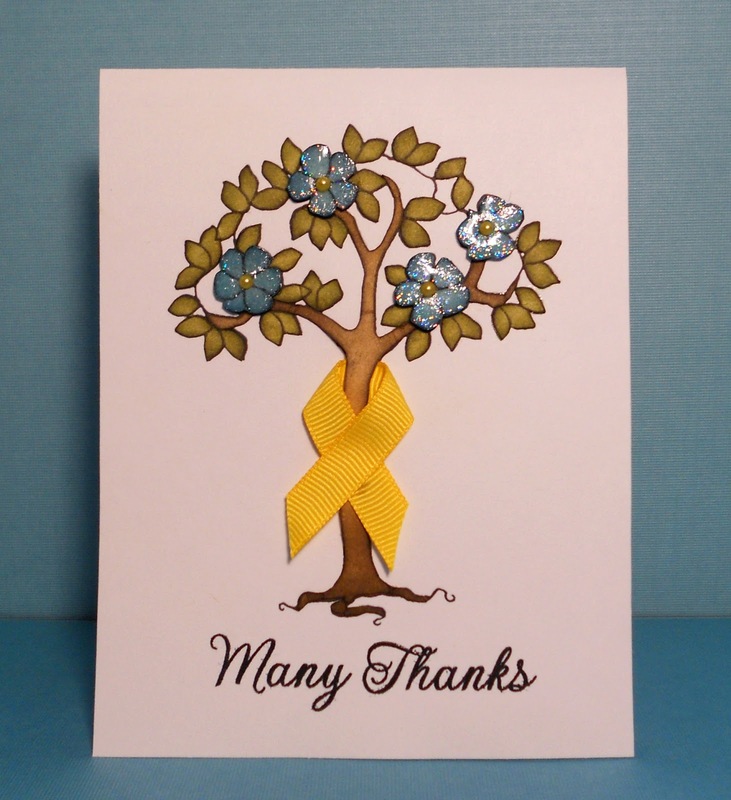 What a wonderful card and great way to loop the ribbon!! Glad you had fun with us at CAS-ual Fridays! This is beautiful AND meaningful. Thanks for playing along with us at CAS-ual Fridays! LOVE this! What a brilliant design! 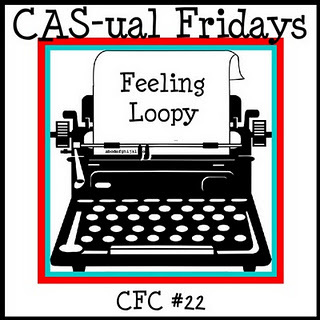 So glad that you join the fun with us at CAS-ual Fridays! I just love how you've used this image! Your idea was fantastic and it made such a special card for OWH. Thanks so much for playing the ADFD challenge!